Caste-based discrimination should be part of "future EU human rights policies, strategies and action plans"
In a major setback to India, the elected representatives of half a billion Europeans in 28 countries have decided to come up with a resolution on October 9, which considers caste discrimination an important human rights issue that warrants a coordinated action by the European Union system. 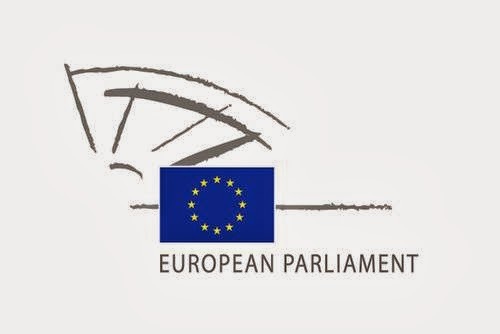 The resolution asks all EU countries to "carry out a systematic assessment of the impact of trade and/or investment agreements on groups affected by caste discrimination, and to address these issues with the industry representatives, governmental authorities and relevant civil society organisations." Pointing out that "caste-based discrimination, recognized also as discrimination based on work and descent, is a form of discrimination prohibited by international human rights law as proclaimed by the Universal Declaration of Human Rights", the resolution cites half-a-dozen other international covenants and conventions to point out how caste-based discrimination, "including the International Convention for the Elimination of Racial Discrimination." It refers to "the report of the UN Special Rapporteur on contemporary forms of racism, racial discrimination, xenophobia and related intolerance" in this context. It says, "Despite the measures taken by governments of some caste-affected countries to provide constitutional and legislative protection and special measures against caste discrimination and untouchability, caste discrimination continues to be widespread affecting an estimated 260 million people worldwide", underlining, "Non-implementation of legislation and policies and lack of effective remedies and effectively functioning state institutions, including the judiciary and the police, remain major obstacles to eliminate caste based discrimination." Manjula Pradeeep, a Gujarat-based Dalit human rights campaigner, back from Geneva, said, "Contents of the resolution were made known on September 17 when the European Parliament’s Committee on Development (DEVE) unanimously approved the caste discrimination. The entire Parliament is now scheduled to debate and vote on the resolution next month." Pradeep heads well known Dalit rights NGO Navsarjan Trust, which operates from Ahmedabad. The resolution, which was prepared despite official opposition from the Government of India, condemns “continued human rights violations” committed against people subjected to caste discrimination and expresses “serious concern that the social exclusion of Dalits and similarly affected communities” leads to high levels of poverty and exclusion from development processes and political participation. It also calls on the EU system to take action on a number of issues related to caste discrimination. It calls for "the recognition by the European Commission of caste as a ground of discrimination which must be tackled together with other grounds of discrimination, such as ethnicity, race, religion, gender or sexuality, in EU efforts to fight all forms of discrimination"; and also calls upon the EU "to consider people affected by caste-based discrimination as an identifiable group in the EU policies and programmes." Coming out in support of the resolution, in a statement, Paul Divakar, General Secretary of the National Campaign on Dalit Human Rights (NCDHR), said the "resolution is significant" for a number of reasons. “It encourages the EU to engage with many of the countries in South Asia and Africa where caste discrimination is prevalent. It will help the EU strengthen its development cooperation and human rights dialogue with these countries, so instead of strengthening caste discrimination, it could address the issue. We support all countries to work together to develop a world free of caste discrimination,” he added.